Calvin’s party took place over a month ago, but I haven’t found the time until now to write about it. 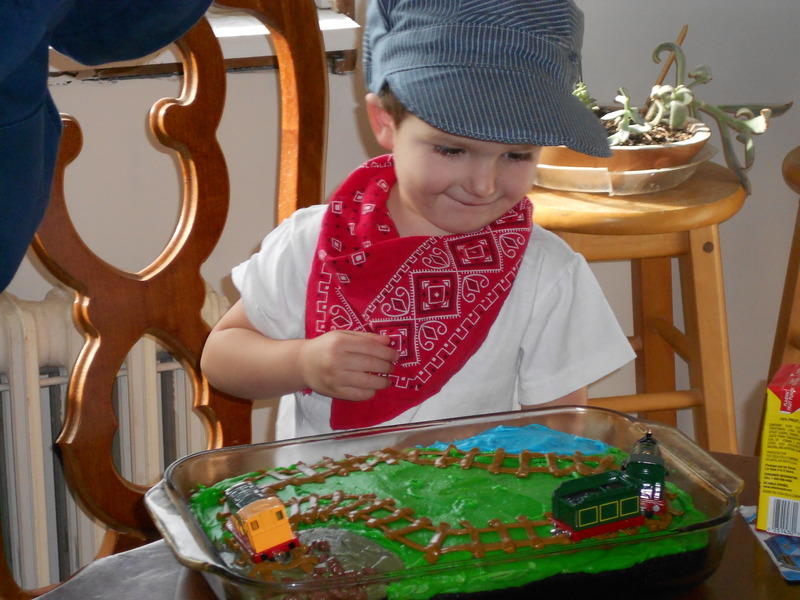 He had a Thomas the Train party. He loves Thomas and all his friends. We have books, movies and trains to testify to his love of this subject. And now we have even more! 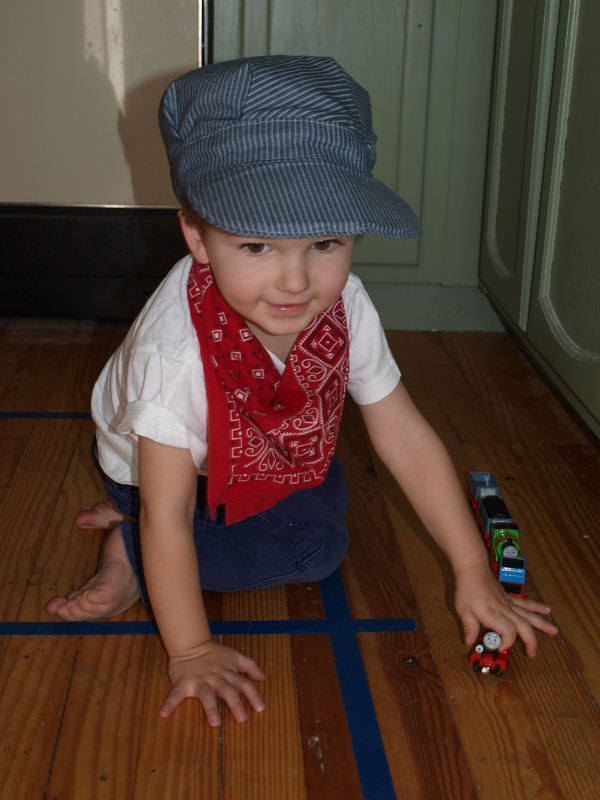 Wesley is also starting to be very interested in trains, so it works out well. 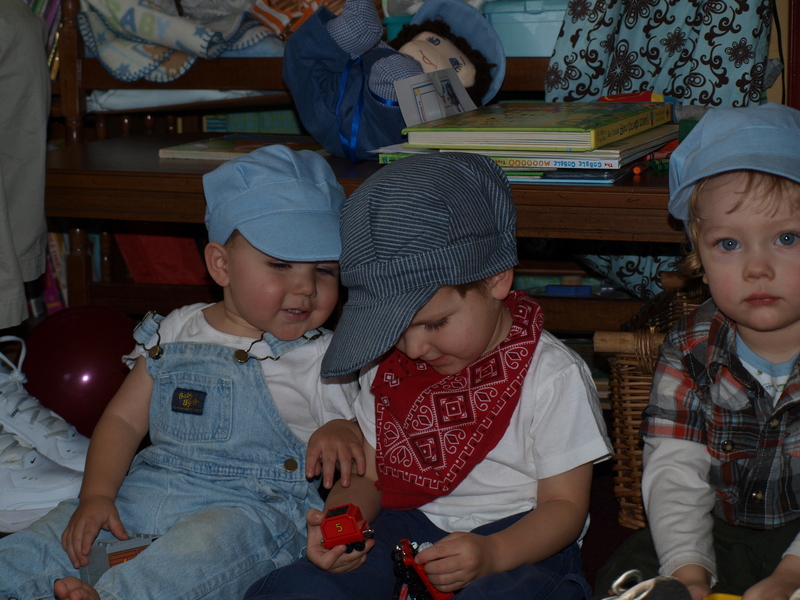 Wesley and Calvin dressed up in their engineer outfits. 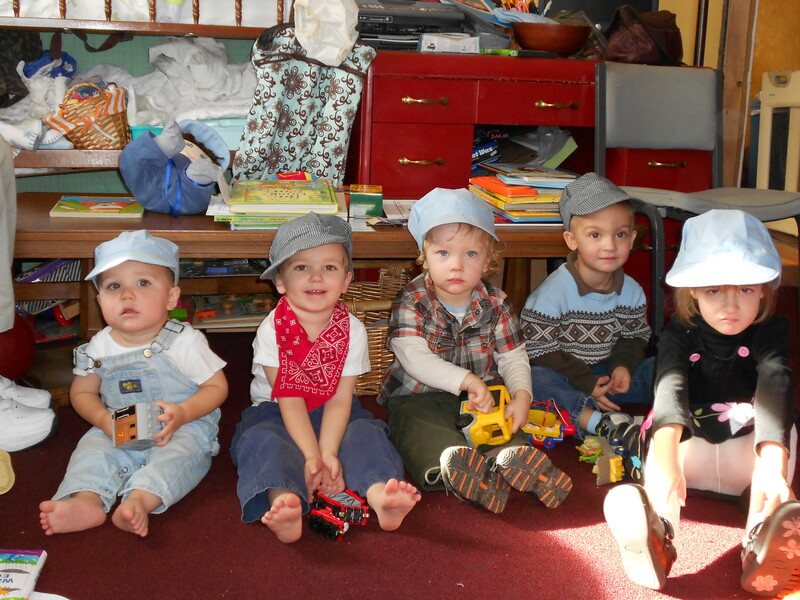 I made all the kids hats. Calvin was so excited about his cake! I tried to make it look like the Island of Sodor. This fact was lost on almost everyone, since no one knew much about Thomas. For weeks after his party he kept talking about the day his friends came over the day he had a party. It’s good to know that he enjoyed the day! Hi Janel, it looks like a wonderful party!! The kids are so cute. your hats are adorable.